Which one is better? More time spent with the people you love even if you may not be doing anything of importance like simply hanging out or less time but spent in a really good way? This is something that a lot of kids and their parents disagree on. Some would go for quality while others go for quantity. I personally feel that it should be quality but sometimes, you just also want to be with the other person even if you're just gonna hang out and do nothing. Sometimes, B and I would just sit side by side and he'd do his thing and I'd do mine. I could be listening to music and he'd be doodling or reading. Sometimes, FM and I would be together and we'd be on a date but he'd be too tired. I'd asked him why he pushed through and he said he just wants to spend time with me. However, the quality time that we spent together; taking B to National Museum or Enchanted Kingdom and the Corregidor Tour with FM are times definitely treasured. These are special times that I'm definitely documenting to the point of a photo book but the quantity time are also treasured and important. So, what do you think? Should we go for quality time with the people we love or is it the number of hours spent that should count? I think quantity is as important as quality...not one or the other. Some people think that just because they spend quality time enough na...but reality has shown that not spending enough time with people we love or are important to us leads to feelings of neglect, loneliness and resentment. I agree with Maritel, they are both as important. But, it is the opportunity that breaks the line. So my resolve, I'll just spend time (whether quantity or quality) as long as opportunity of doing so allows me. Sometimes, doing nothing and just sitting or simply the presence of the people around you makes a big difference. 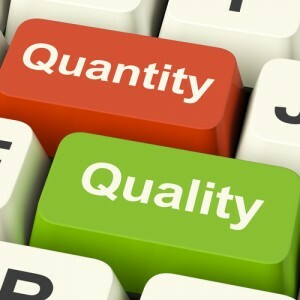 Both quality and quantity time are important because its the quantity times that make the quality times stand out. paid for or paid by?